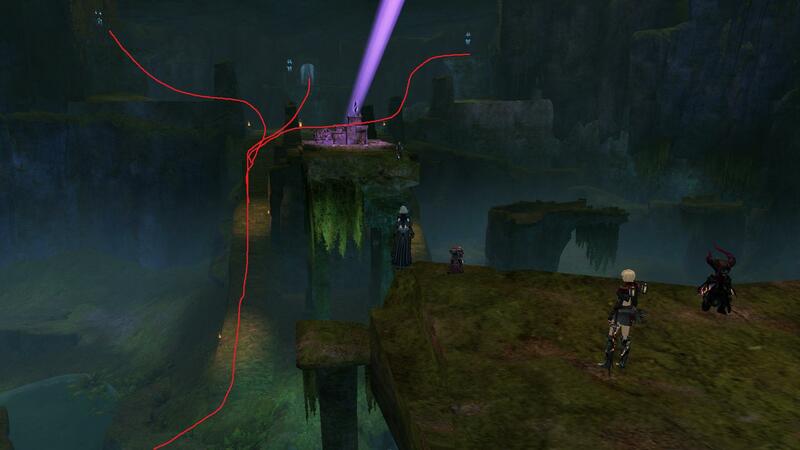 Forums » NA World-vs-World » Mesmer portaling to achievements! 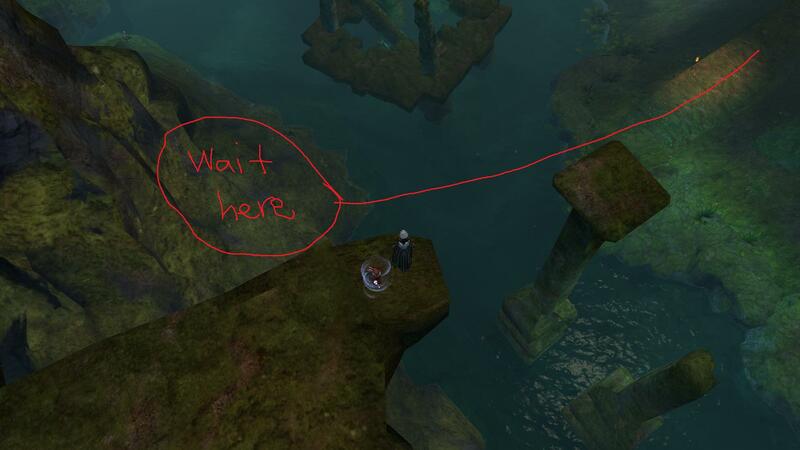 As you may have noticed, one of the Bazaar's achievements is to visit kites at locations around the map! 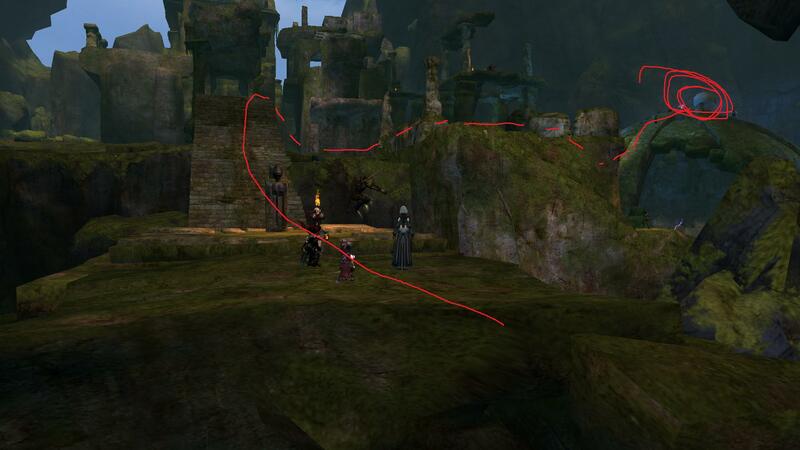 One of them is in the Obsidian Sanctum jumping puzzle in the Eternal Battlegrounds in WvW. I'll be on Wisteria Herald in the Eternal Battlegrounds. Unless anybody from Dragonbrand or Ehmry Bay decides to kill us, and we're being as peaceful as we possibly can, I'll be porting people for at least another hour. If you don't know how to get there-- press B, go to Eternal Battlegrounds (there may be a queue). Then go to our keep, go through a portal (that map indicates where they are; we currently own the keep on the bottom-right), and you'll be in Obsidian Sanctum. From there, go down the steps and into the water; swim across and wait on the rocks. Heading out of WvW now, but there are still two TC mesmers. Truce is still ongoing. I'll revive this thread if it's peaceful in there again later! Thank you so much! My guildies and I really appreciated it! Also both of the other servers were being incredibly courteous for the most part other than one guy who tried to kill my thief - but the funny part of that was I fell and went into stealth next to him - I believe it was a panic reaction on his part so I could hardly blame him - I just re-stealthed and hurried off! While I typically recommend people do the Jumping Puzzle at least once, even I get tired of finally making it through the Darkroom, only to be killed by enemy players. I approve of this action. Also it's still pretty peaceful in there, I've been helping my guildies through in the last couple hours - recommend giving it a go if you're shy of pvp but would like the kite and chest. There's a lot of TC in there to defend and rez too. I'm back in place to portal, for now! EDIT: Just crashed. Time for another zillion-year EB queue. EDIT TWO: Portals are ongoing! I am still up here! I should be up here for at least another half an hour before I close up shop. You actually helped me earlier, but I was invisible from one of the fountains at the time, and you were porting someone else. You're welcome! I'm done for the day, that was... a lot of portals. I'll bump this thread if I'm in there again tomorrow!